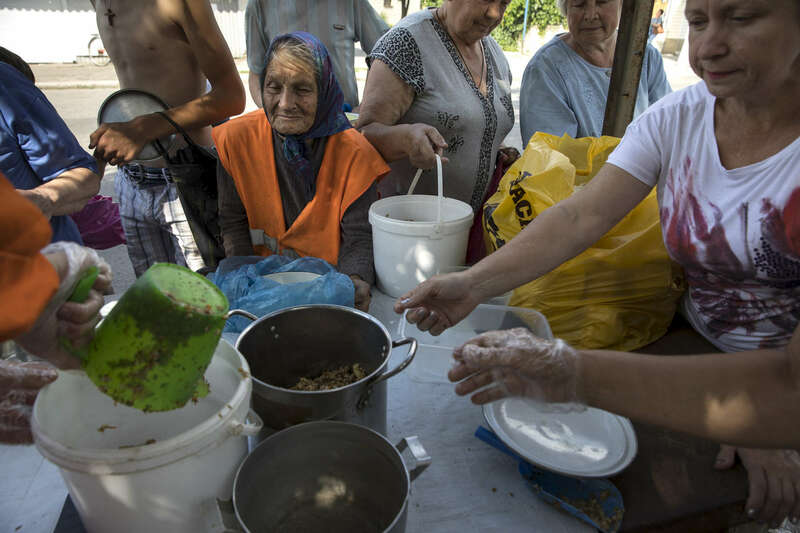 Raisa Andreyevna,72, waits in line for food aid given out by a local charity in an impoverished area of Donetsk. She works as a janitor which pays her enough to survive. Originally from Russia, she now lives alone. Her children and grandchildren have all moved away to safer areas as part of Donetsk remain dangerous and occasionally gets shelled. “I have told them to move out, I am not afraid to get killed because I have already lived my life but they have children they have to take care of.” Since the beginning of the war she can no longer receive her Ukrainian pension of $50 a month.